AMAZING Opportunity to become a Lakeshore Drive homeowner! Just a few steps from Beach Stop 11 access point, Sheridan Beach! Prime Location and gorgeous piece of property. This home is perfect for investors, vacation home ownership, new construction builds, or even full time residency. (Investors,bonus,you are able to rent freely in Michigan City, Sheridan Beach FYI!). There are Spectacular Full lake and beach views from inside and outside of the home! Home features a large main floor master bedroom. 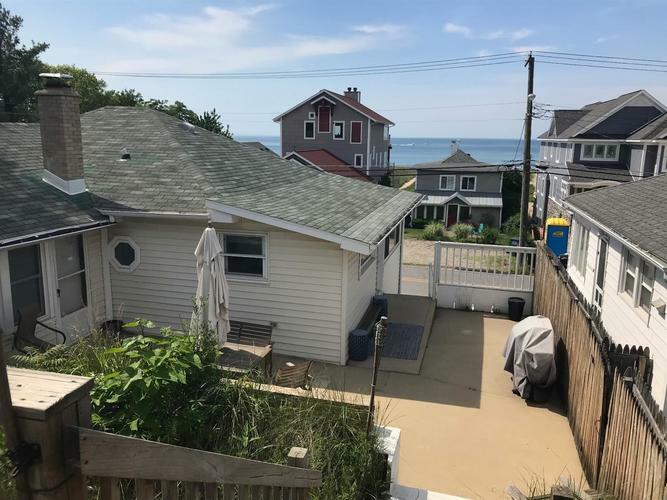 The backyard offers a plentiful amount of untouched land along with 2 Large outdoor spaces to enjoy: a concrete patio and raised deck w/ bar w/ beautiful views. Bonus sunroom attached to home, great for multiple uses. This home features a unique 2 story layout, it could be rented out as 2 separate units if desired (main floor and then lower level). Lower level is like a large studio and is also great for guests/family/friends to be able to enjoy their own private space on their visit! Directions:On Lakeshore Dr, on south side of street, right between beach stop 11 and 13. Style: 2 Story, Bi-Level/Raised Lev.